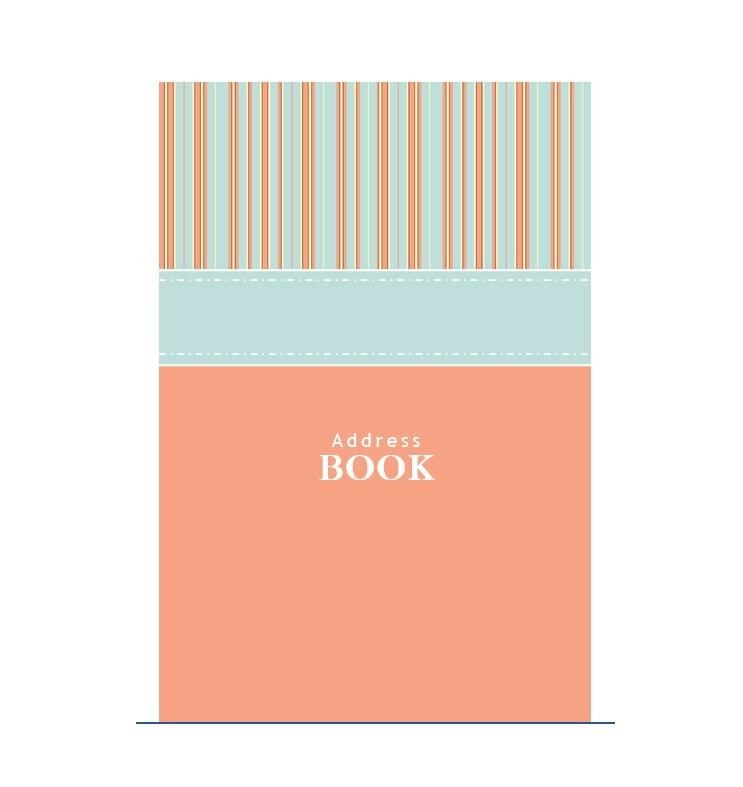 In today’s modern world, a lot of people don’t keep address books anymore. Who can blame them? Right now, you can store all your contacts on your smartphone. 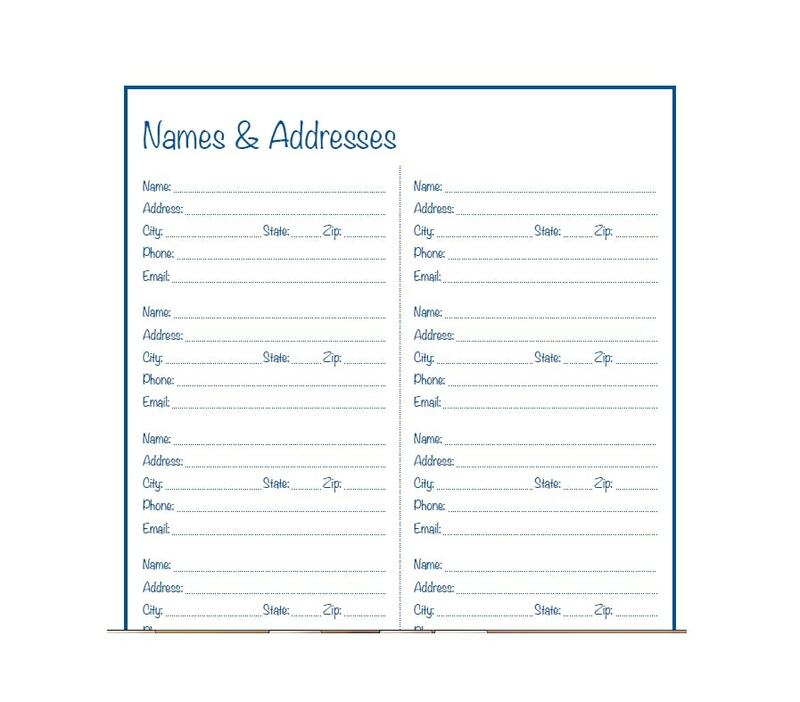 Because of this, people don’t even bother writing on address book templates. With your smartphone, you can save your contacts with different details. 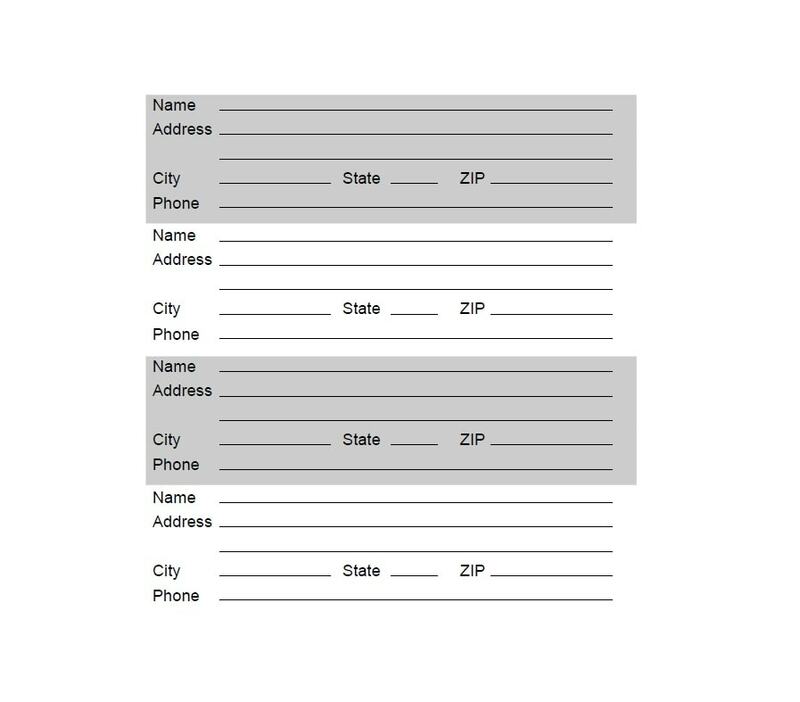 These include the phone numbers, email addresses, and home addresses. But when you think about it, keeping an old-fashioned address book is still very practical. In case you lose your smartphone, you’d still have a backup of all your contacts’ information. Also, some people believe that keeping an address book is a lot simpler. 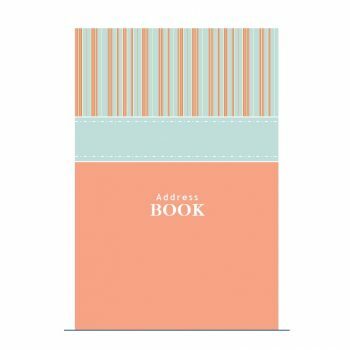 Address books are a lot cheaper than smartphones and devices. You can buy one and store a lot of information on it. 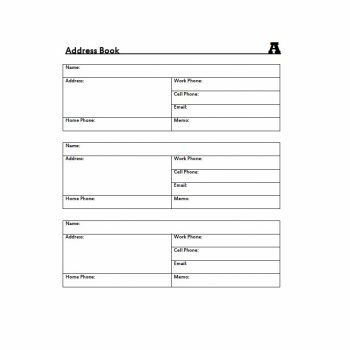 Or, you can download our printable address book template and use that. 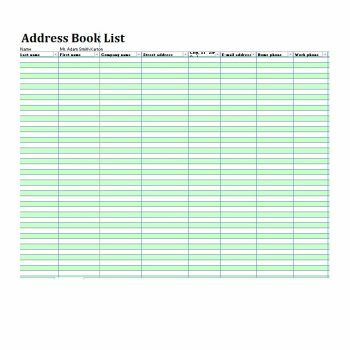 Aside from this, you’ll be able to use the address book all the time. Unlike your smartphone, you won’t have to worry about recharging its batteries. 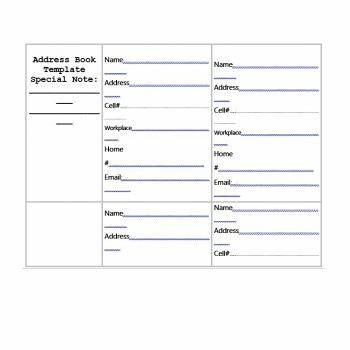 This article is all about address book templates. 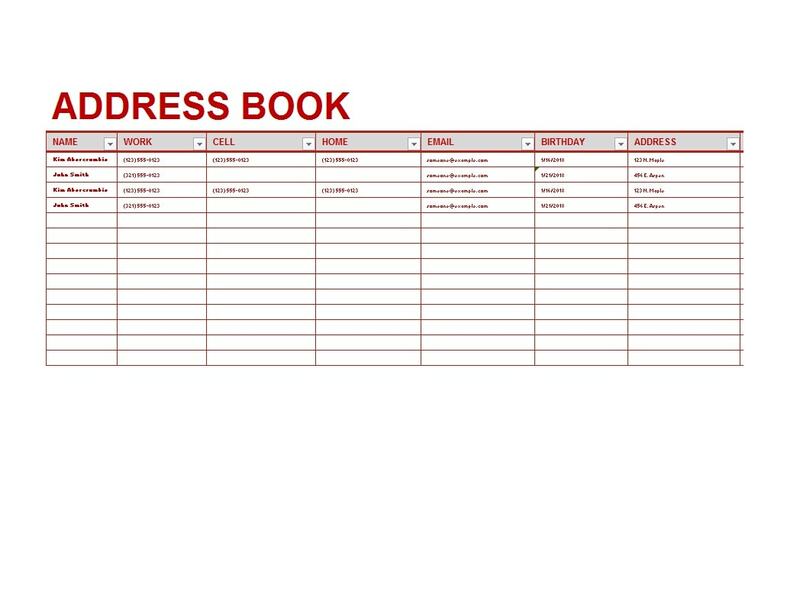 An address book contains the names and contact information of people you know. 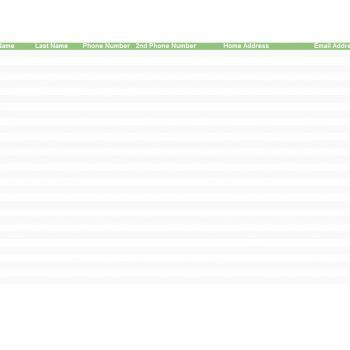 You can also use it to store the same information of important people related to your business. It’s important to save and store all your business and personal contacts. 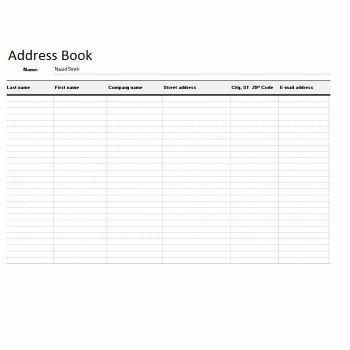 You can find an editable address book template here which you can use for this purpose. You should always keep your contacts organized. You can categorize them according to their relevancy. 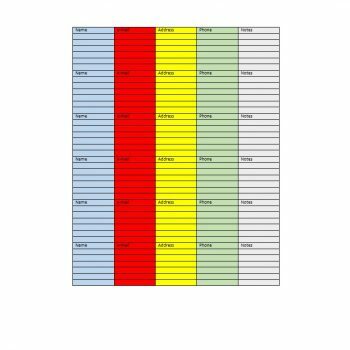 You can alphabetize the order or even write the most important details at the top. 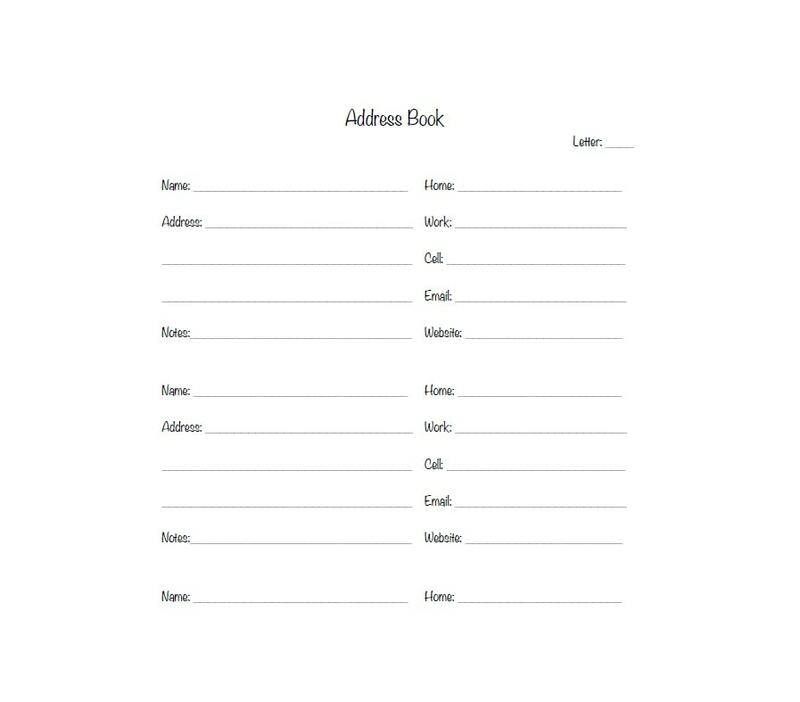 Having an address book can be very helpful if you want to keep in touch with significant people in your life. 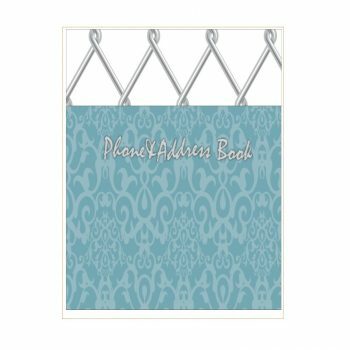 You can purchase address books from supply stores. 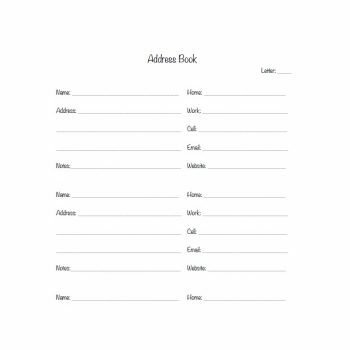 Either that or make one for yourself using printable address book templates. 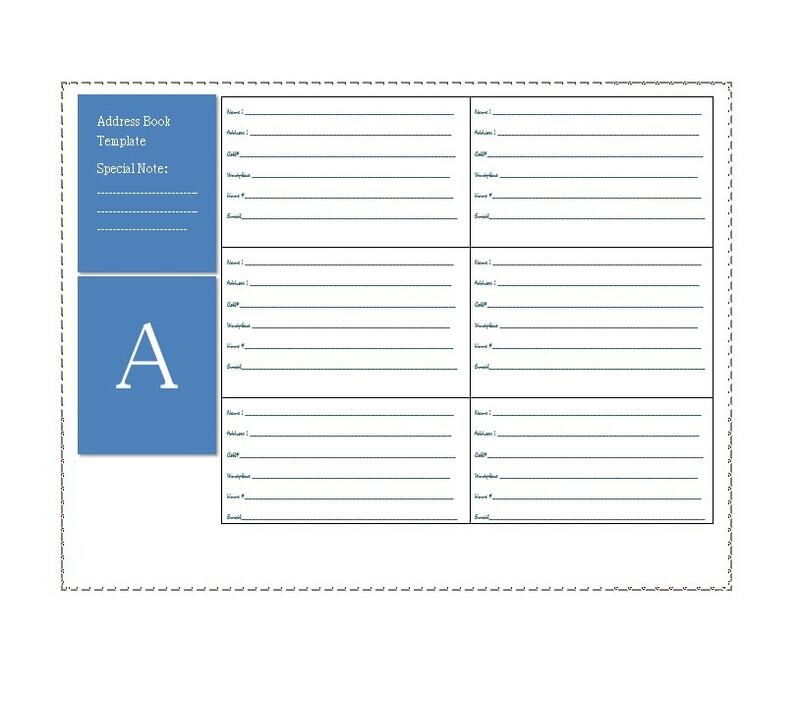 If you don’t want to print out the templates, you can also store them on your computer. With such files, you can easily keep in touch with people. 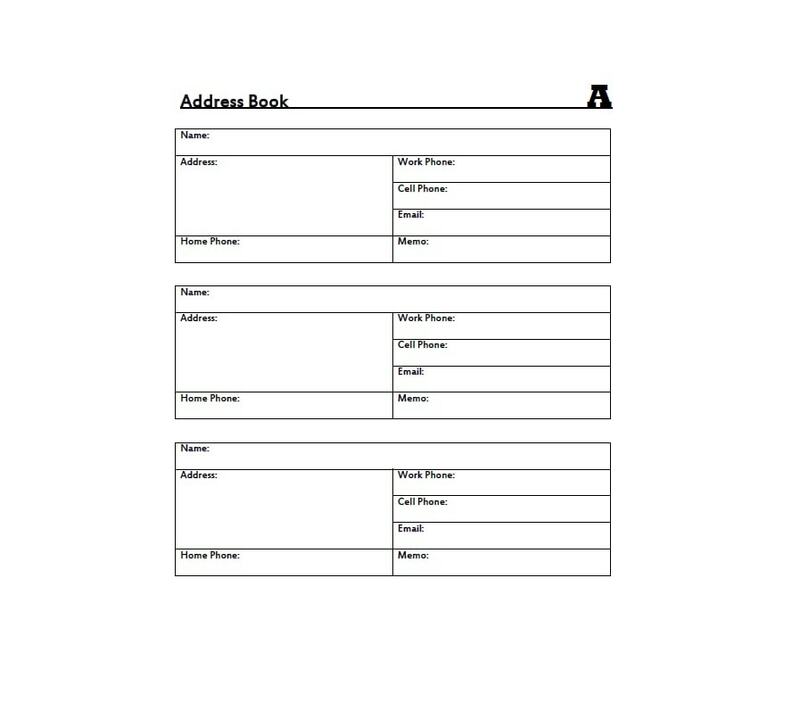 You just have to refer to the information on the address book file. You can send emails easily by copying their email addresses and pasting it into your email. 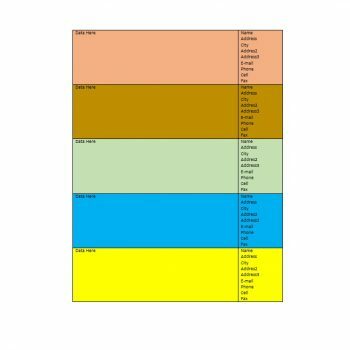 There are many different kinds of template you can create and use. 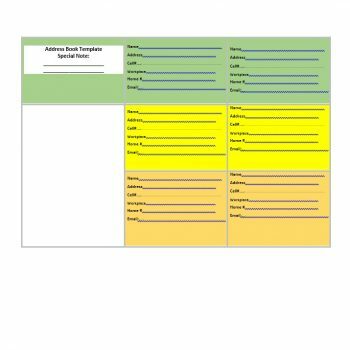 All you have to do is edit the template to suit your needs. These are just common examples. Actually, you can create a lot more. 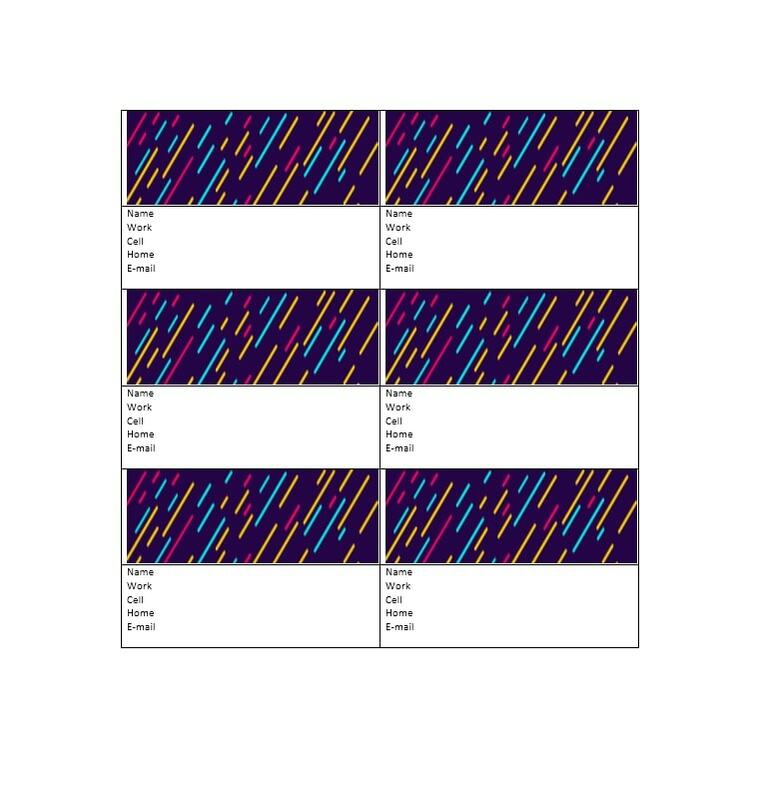 Whether you’ll save the file on your computer or print it out, you can design them however you wish. 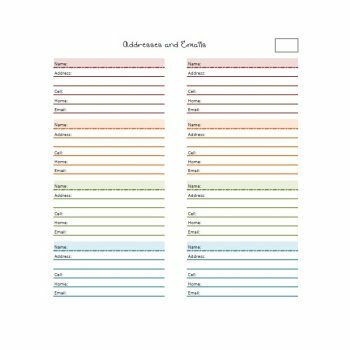 Look around the internet to see a lot of editable address book templates available. 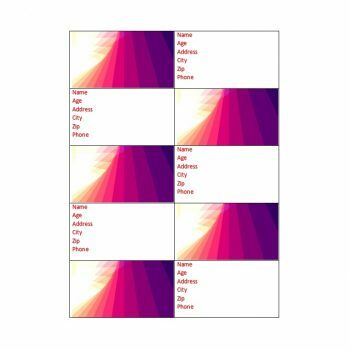 In fact, you can even download one from here! These templates are easy to use and very convenient. 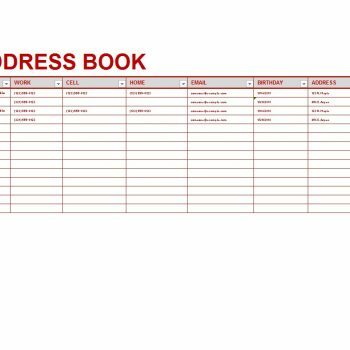 An address book is a document where you store all your contacts along with important details. 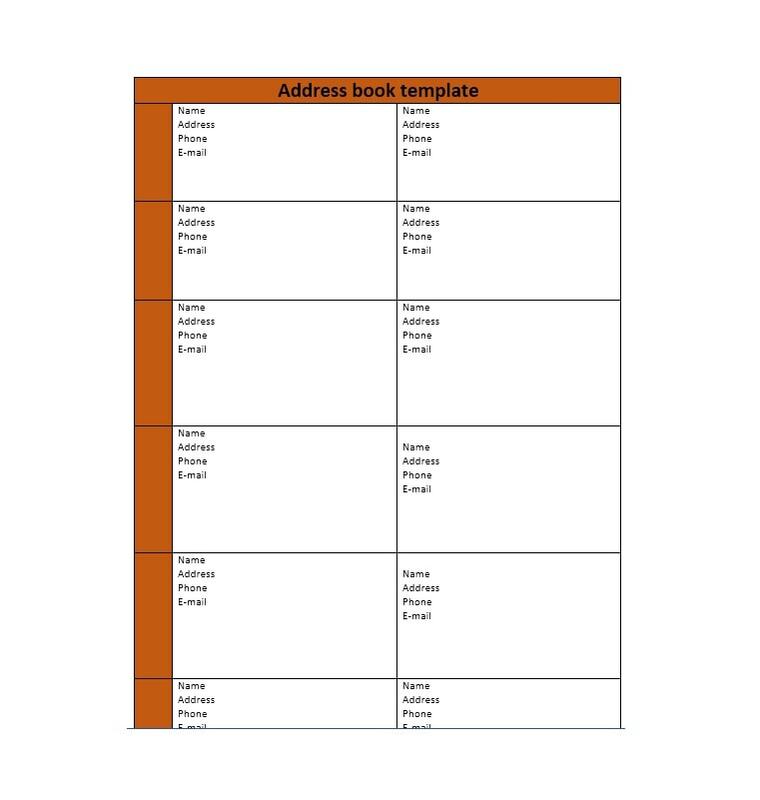 You can use a book for your personal contacts as well as your work contacts. This way, it’s easier for you to search for the contact details of a person when you need to. 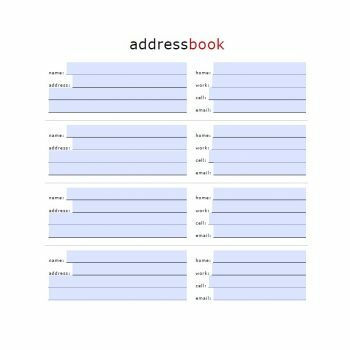 Like we’ve mentioned, you can easily make your own address book and store it on your computer. When you use an address book on your computer, you can use the search feature to find information easier. This would save you a lot of time and effort. 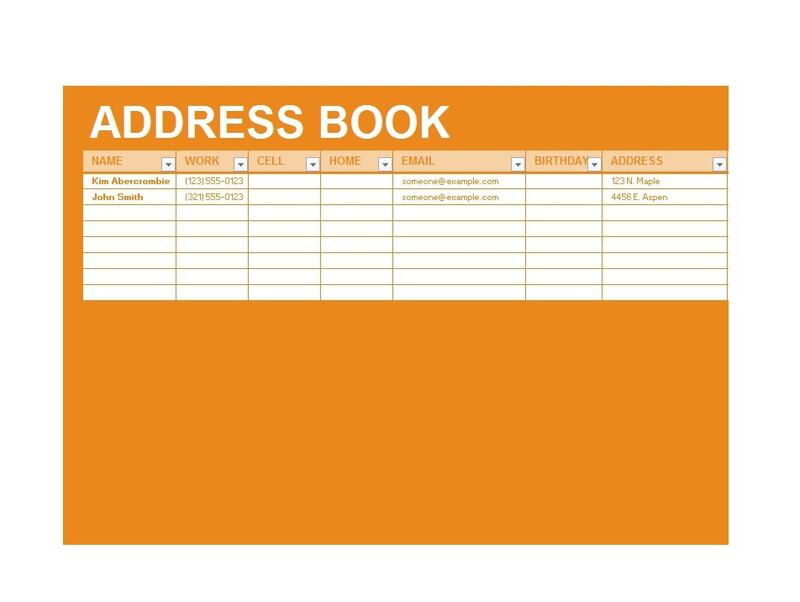 You can use one address book file to store all your contacts. Just create different pages or groups for significant people. You can make a group for family, friends, business contacts, and so on. 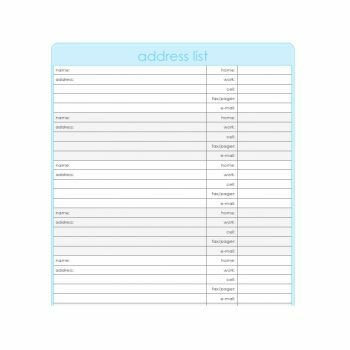 Whether saved or printed, you can store a lot of contacts in an address book template. 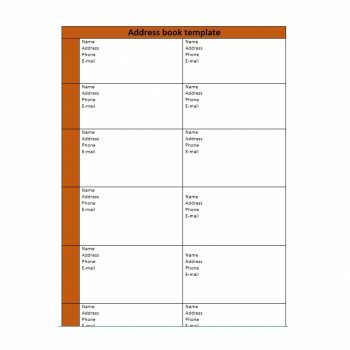 You don’t have to save contacts on different books. 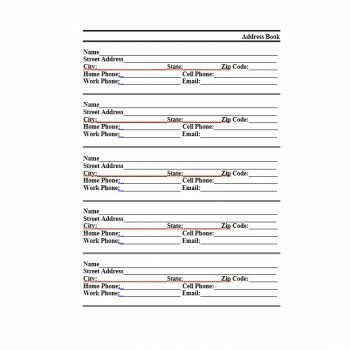 Simply print out template pages and compile them into one file. You don’t have to worry about losing your information because of technical failures. 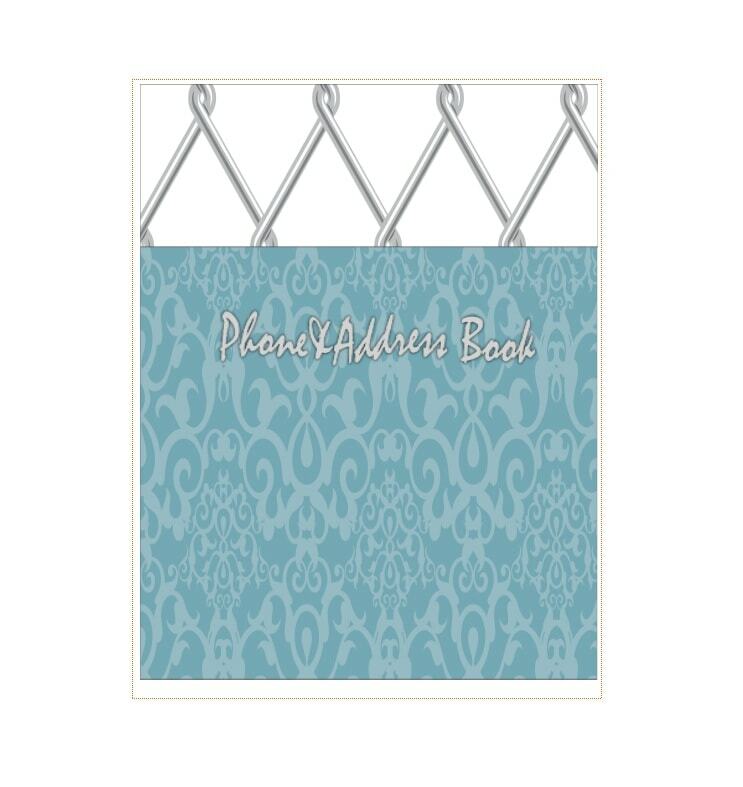 This is in the case of printable address book templates. For instance, if you only keep contact information on your phone and it might get destroyed. Then you can’t retrieve it anymore. But if you have a printed copy as a back-up, you won’t lose anything. 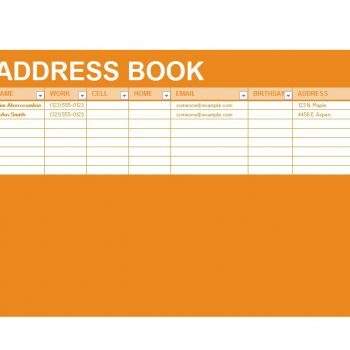 Keeping an address book file on your computer is convenient too. When you want to send emails or make calls online, you don’t have to type numbers and email addresses. All you have to do is copy the information you need and paste it. 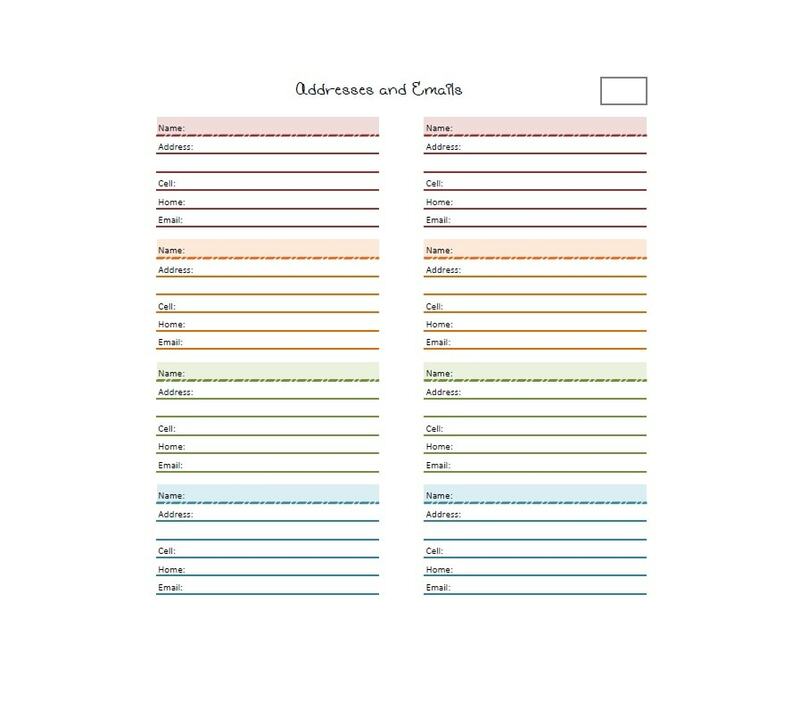 You can be as creative as you want when creating your editable address book templates. 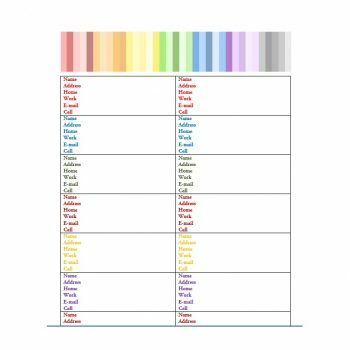 You can use color-coding, different fonts, graphics, and such to make your template more fun. 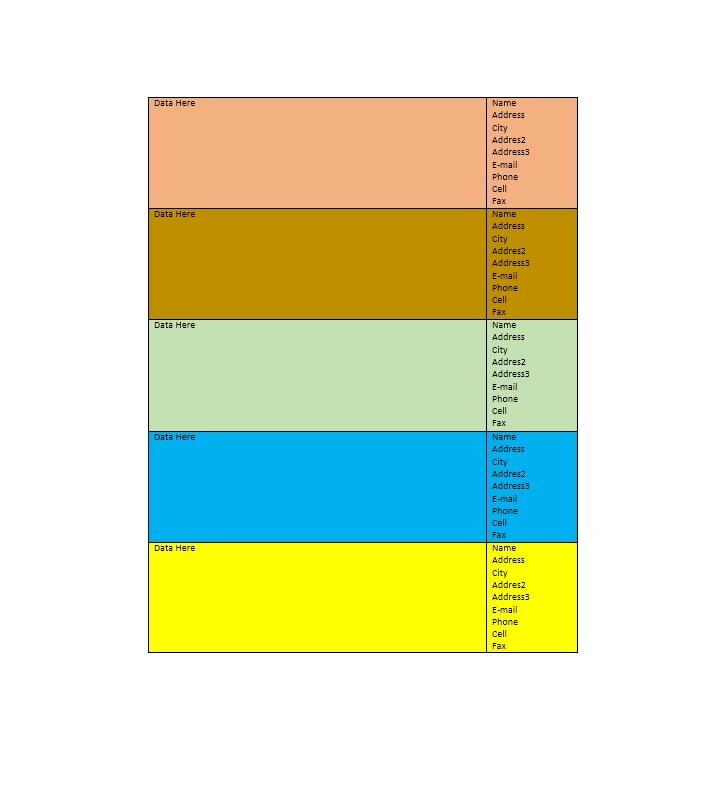 As you can see, it’s very beneficial to keep such a template. You can print one out and save a copy on your computer. Do this so you won’t risk losing information for any reason. 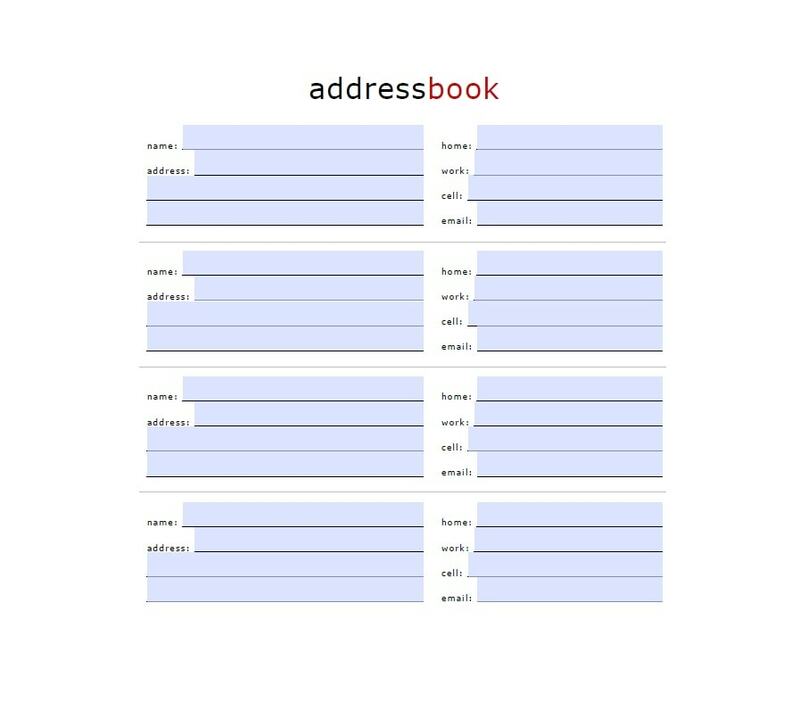 If you want to start using an address book, you can download an editable address book template from here. Otherwise, you may also want to create your own template to use. The easiest way to do so is in Microsoft Excel. 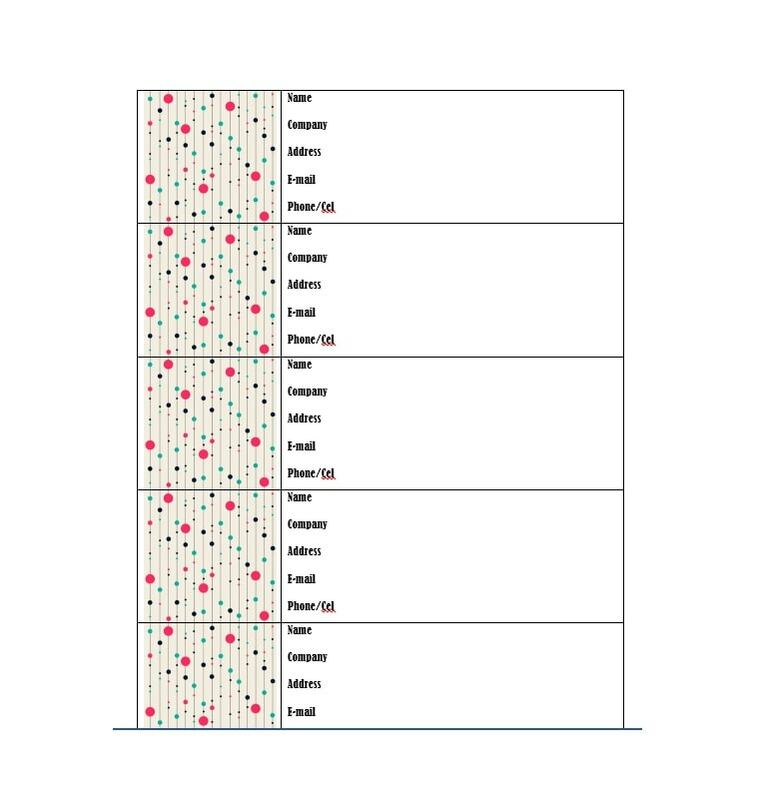 First, you need to create some tables. 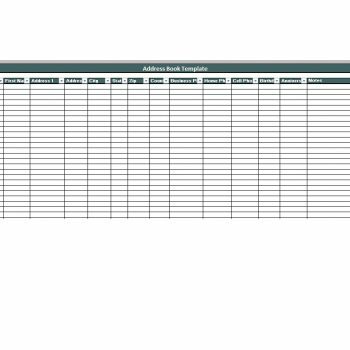 To do this, select a cell then drag the cursor to select all the cells you need for your template. Then go to the “Insert” tab and click on “Table” to open a dialogue box. Tick the “My Table Has Headers” option then click OK. 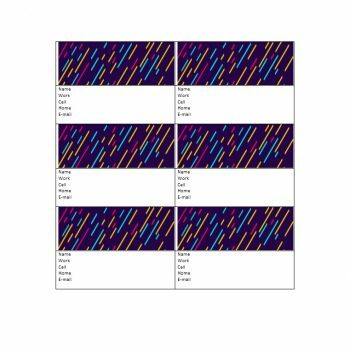 This will allow you to create columns you can sort. The table would have arrow buttons for the purpose of sorting. 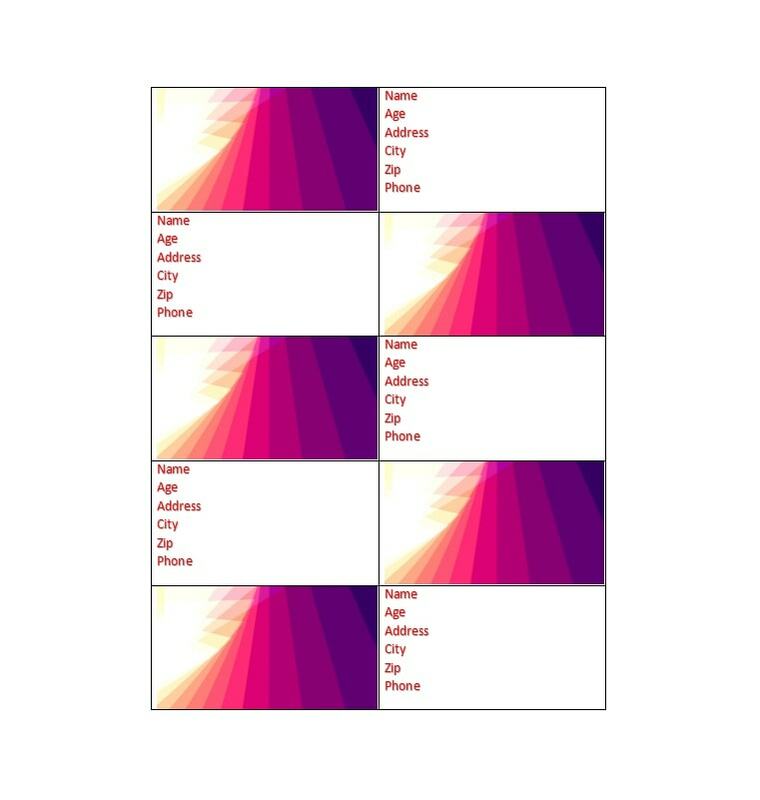 Type your category headers. 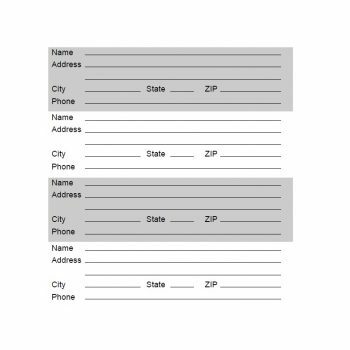 These include the full name, home address, email address, contact number, and so on. 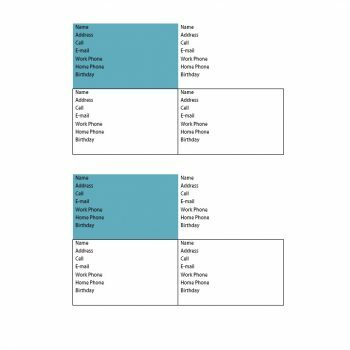 Go to the “Design” tab to see the “Table Styles” you can choose from. From there, you can choose the color scheme and style of your table. 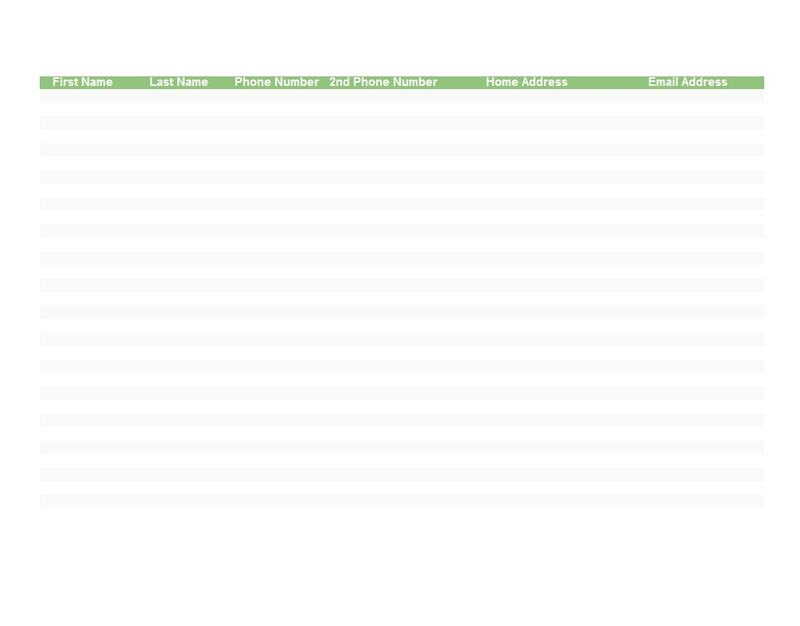 If you want to see what it would look like, simply move the cursor over the table style. 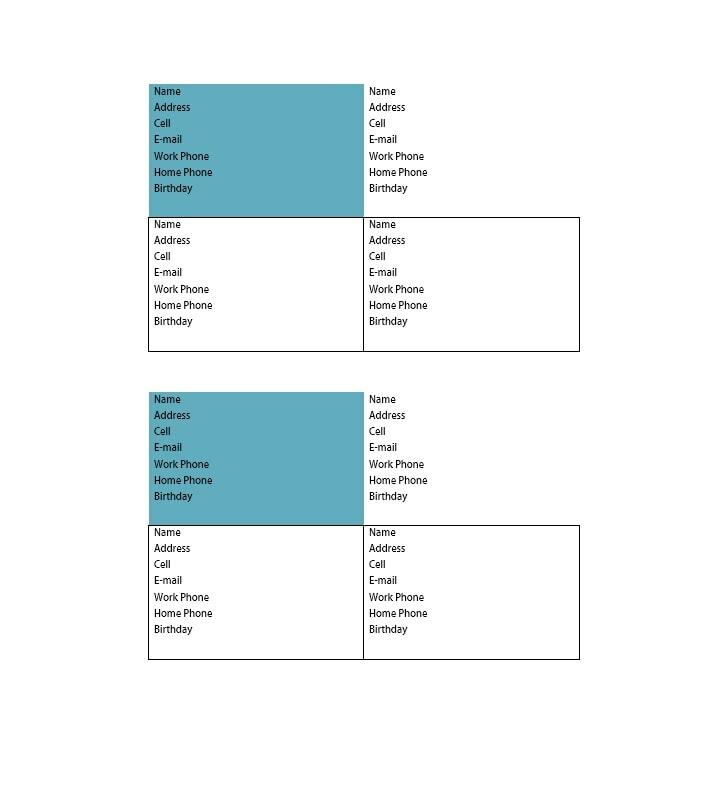 When you do this, your table will show you a preview of the table style. 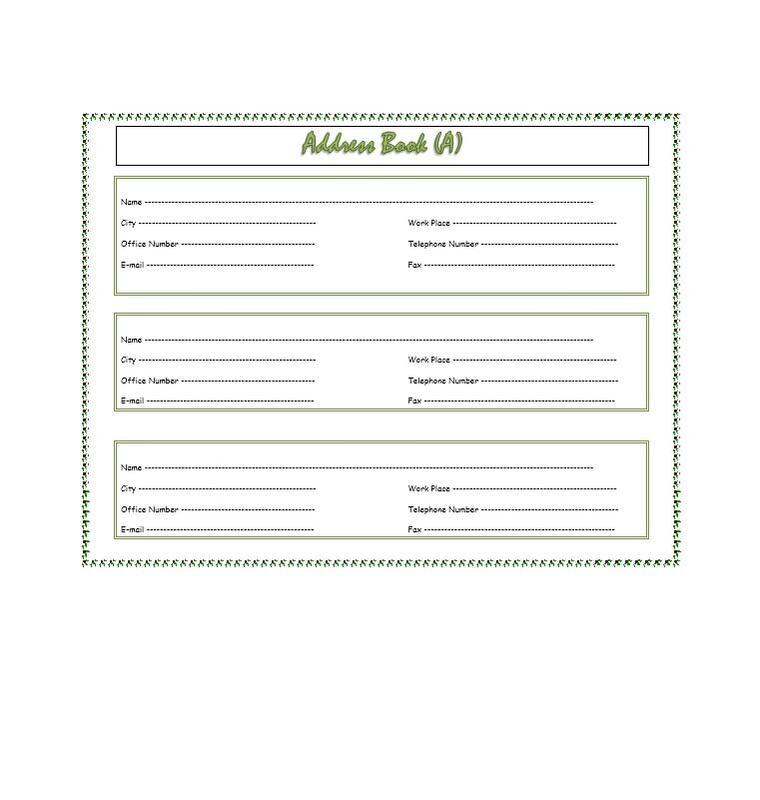 When you’ve already chosen the style, you can start typing the information on your table. As soon as you finish, don’t forget to save your file. 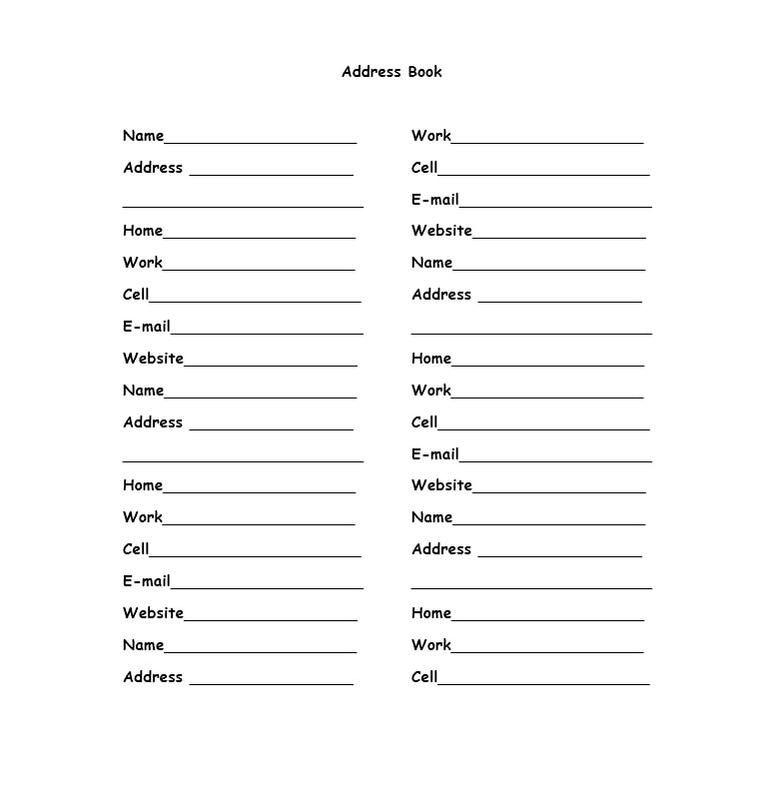 You can also print out the file to keep a hard copy of your address book. 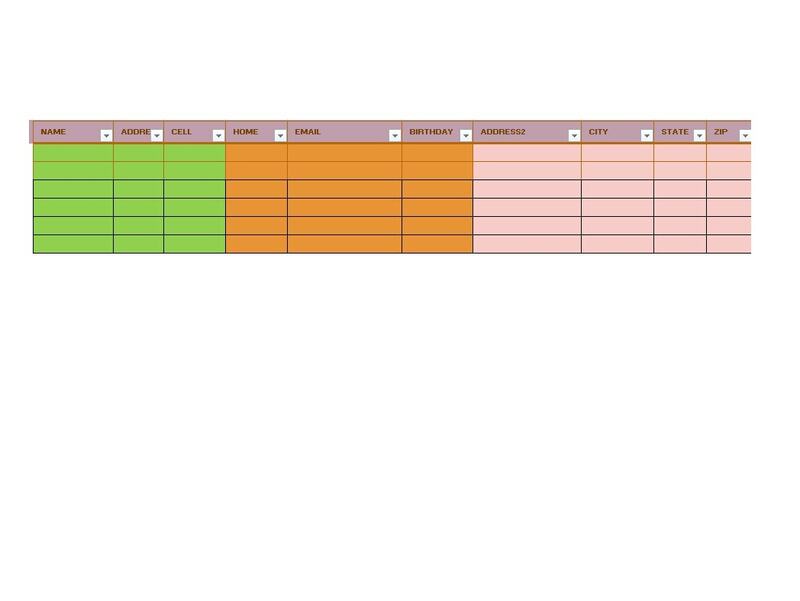 If you do this, add some blank rows so you can add new information to it. 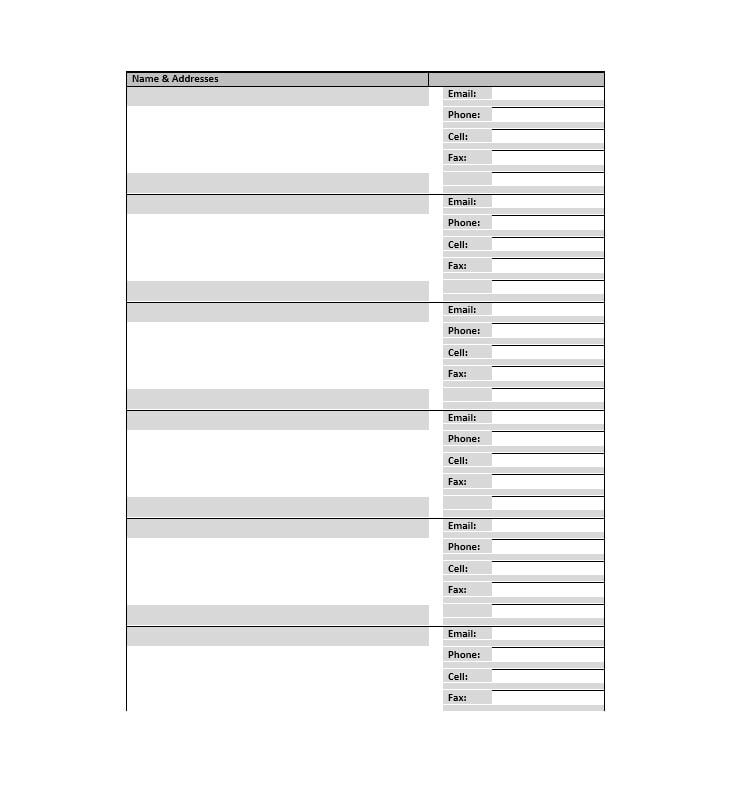 Go to the “File” tab then click on “New.” This will open a list of templates you can choose from. 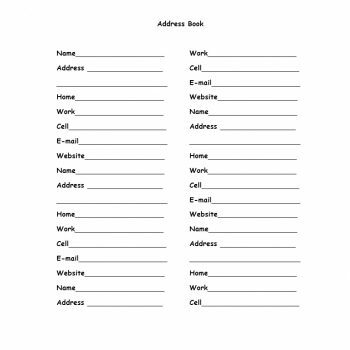 On the search bar, type “address book” and click on “Search for Online Templates.” Press “Enter” and you’ll see different types of templates for address books. 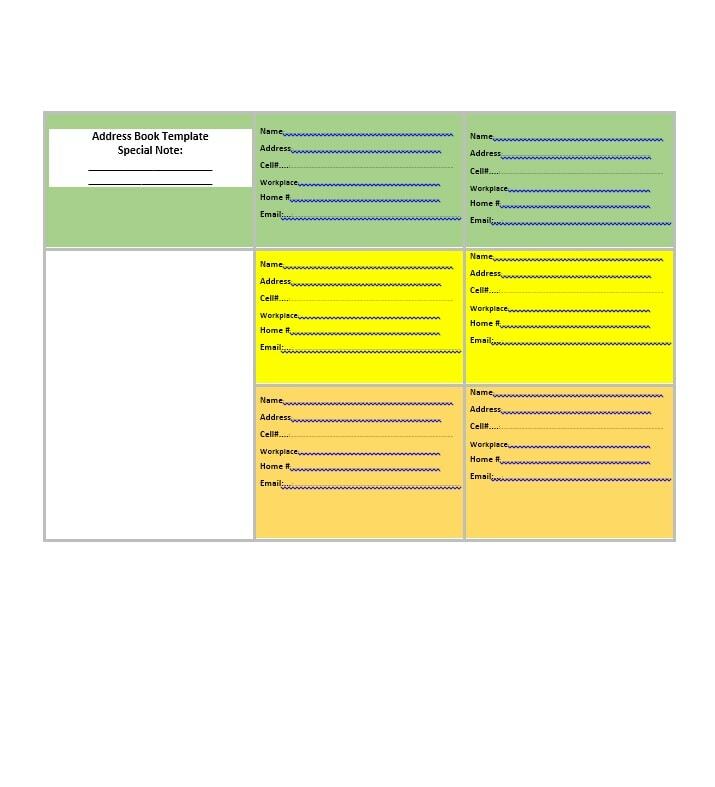 Look through the templates so you can choose which one you want. 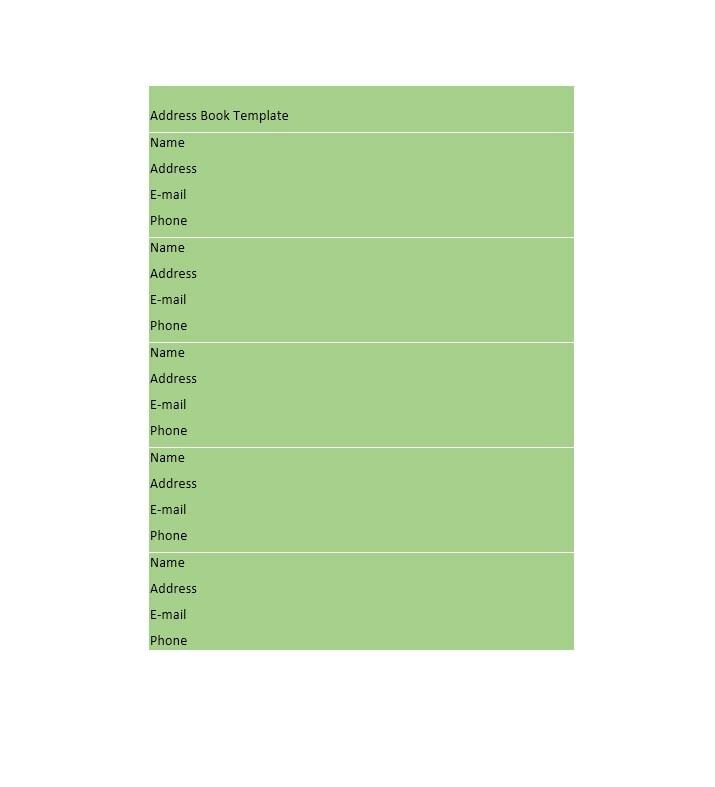 You can preview the templates first before choosing one. When you’ve found one you like, click on “Create” to open the template in a new file. If you want to change the table style, you can go to the “Design” tab and choose the one you want. 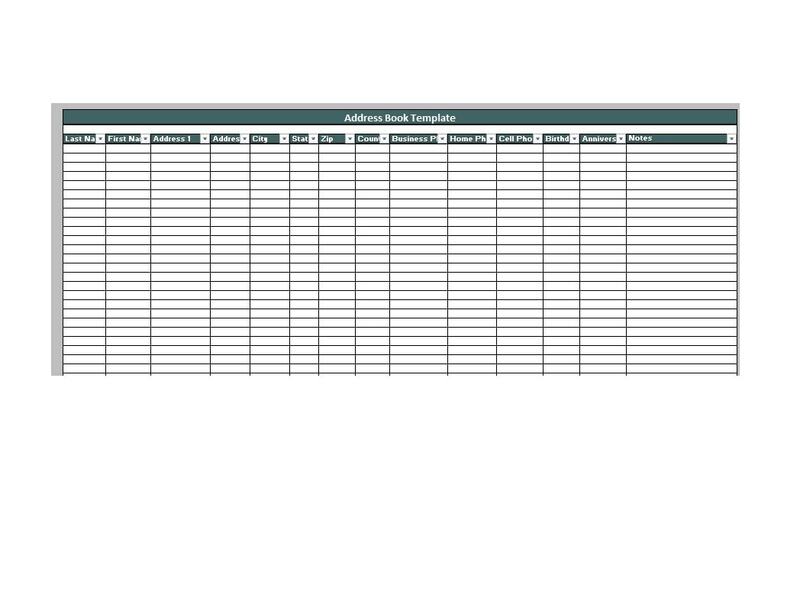 Then, you can start typing your contacts’ information on the cells of the table. When you’re done, save your work. 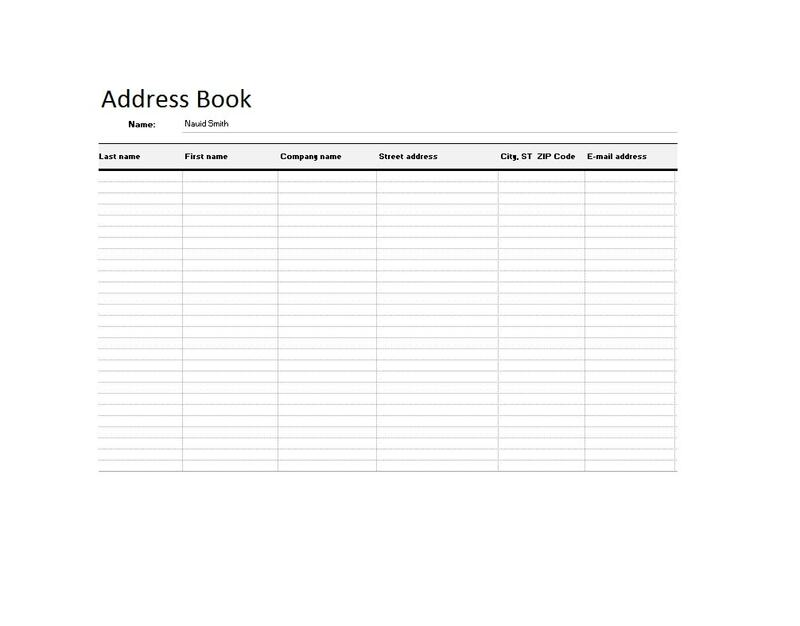 Also, you can print out a copy of the address book and keep it in a safe place. 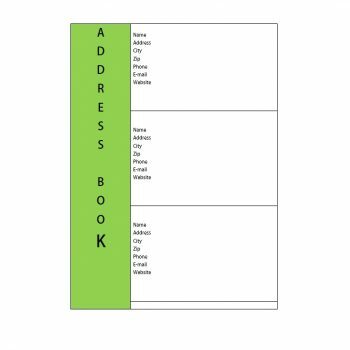 Whether you want to create a template on your own or use an online template, making an address book is really easy. 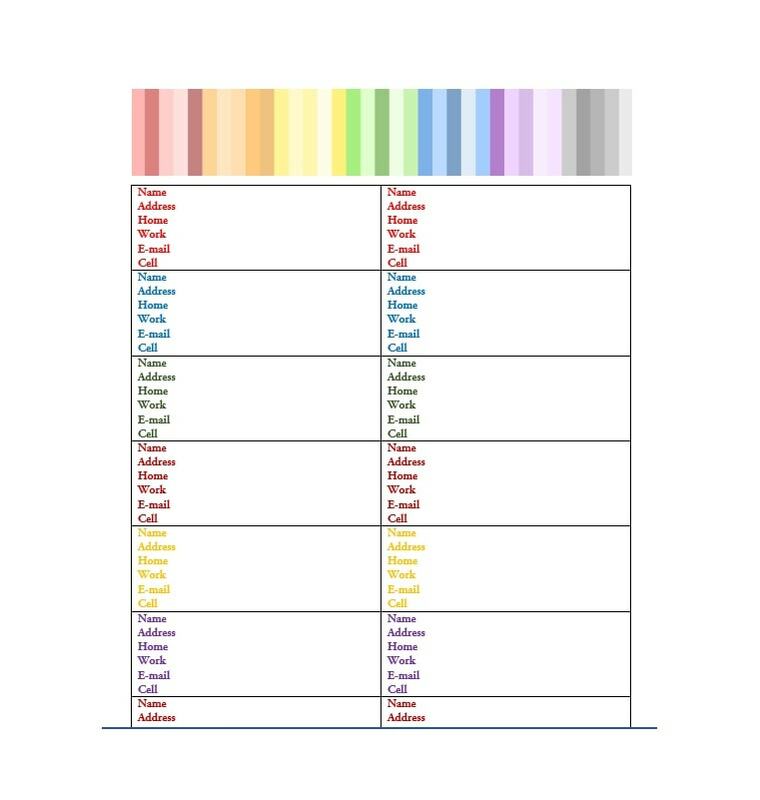 The best part is, when you have new contacts, all you have to do is add them to your template! 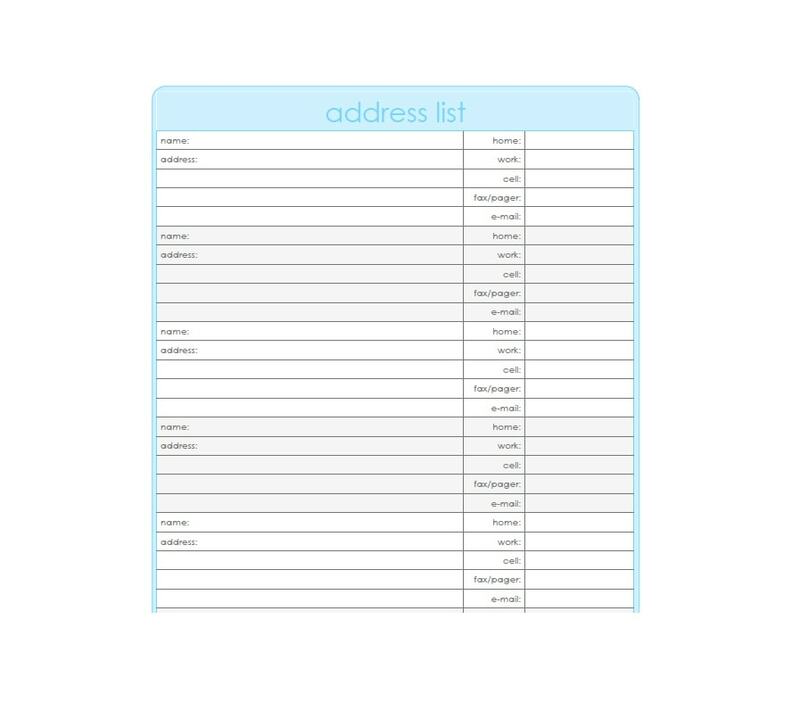 When you keep an updated address book, you’ll be able to keep in touch with the people in your life. 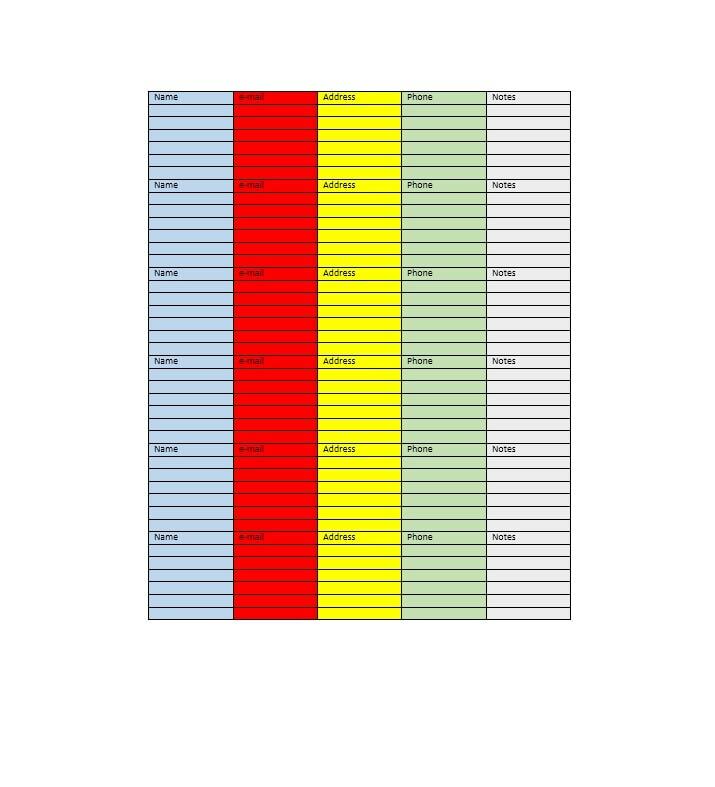 You can use this to store valuable information which you can retrieve when you need to. Merely keeping an address book won’t make it useful. If you create one and never update it, the information on it might become useless. When you try to use the information to call your contact, you might find out that the number is already invalid. So, you need to constantly update and sync the information in your address book. When you receive a new contact or new details from a previous contact, update all your books. 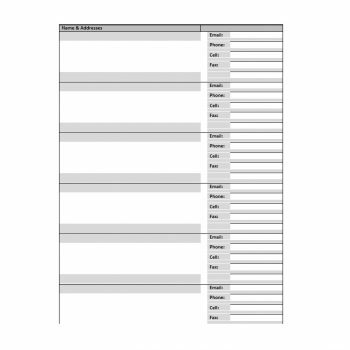 Make the changes on your printed file, your saved file, and your smartphone. This way, you’re sure that you have the right information. Also, you won’t run into any problems or delays if you need to contact anyone. 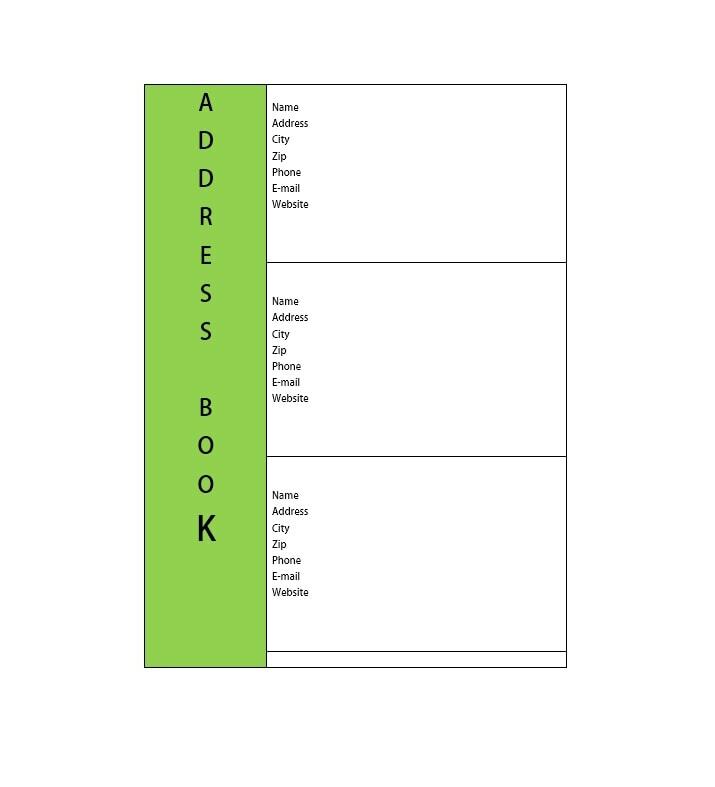 If you create an address book template, make sure it’s organized. 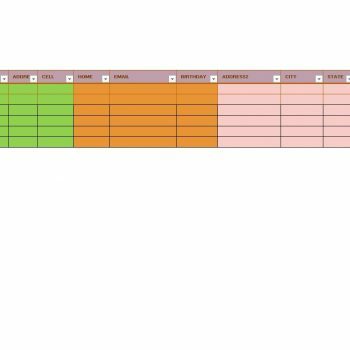 To do this, you can create different columns for different information. 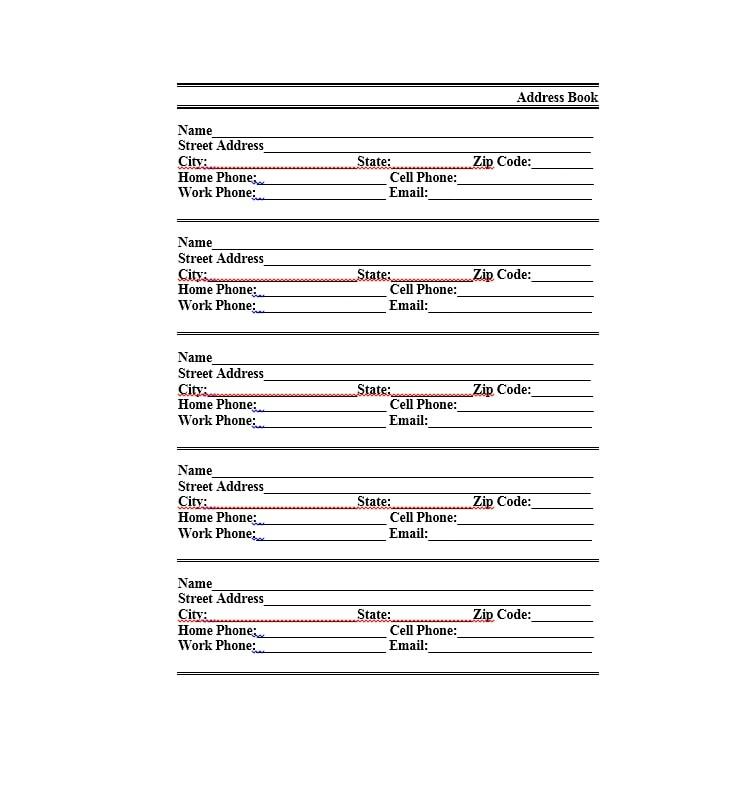 For instance, instead of placing just 1 column for “phone number,” you can create more. You can label them “home number,” “work number,” and such. 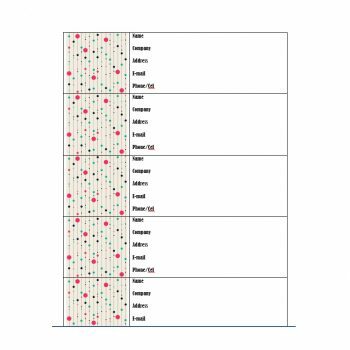 Do this so you don’t have to mix the information which can be quite confusing. 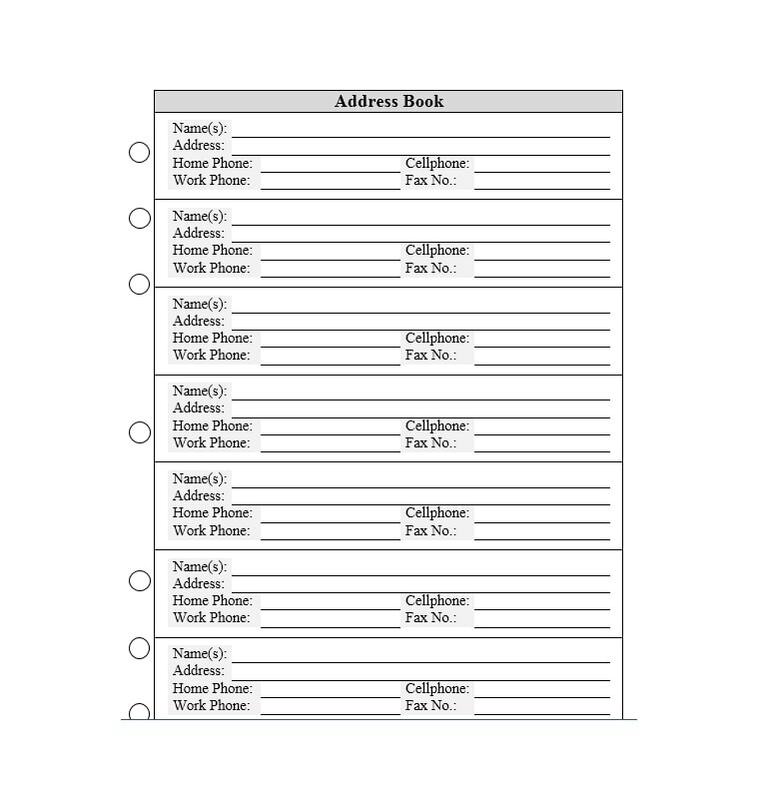 Like if you have one column for phone numbers and you input 4 or 5 numbers in it, you might get confused. You won’t know which number to use when you need to call your contact. 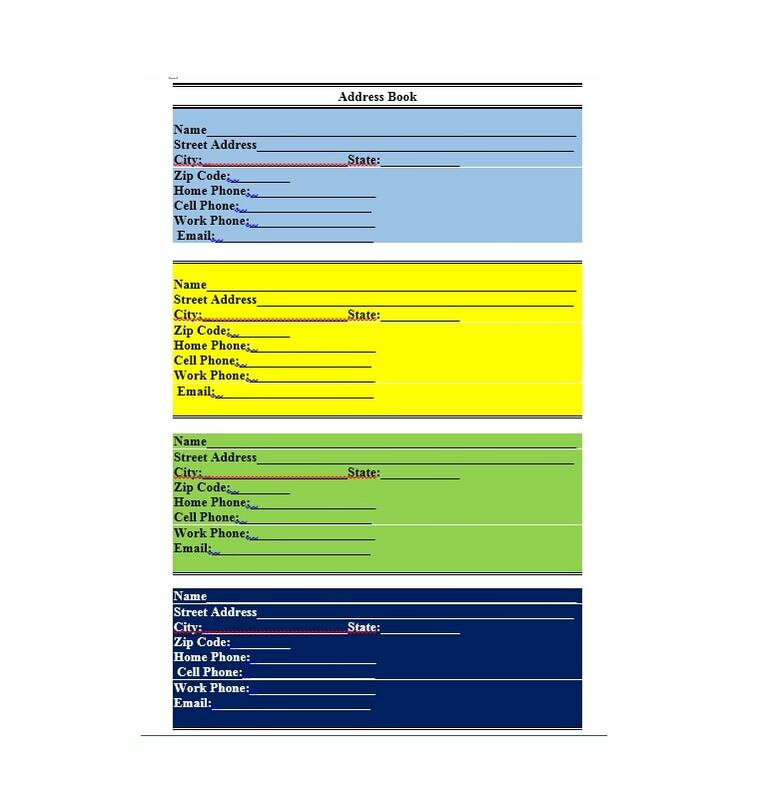 In creating a template, make sure you have space for all the important details. Nowadays, we all have more than one contact information. 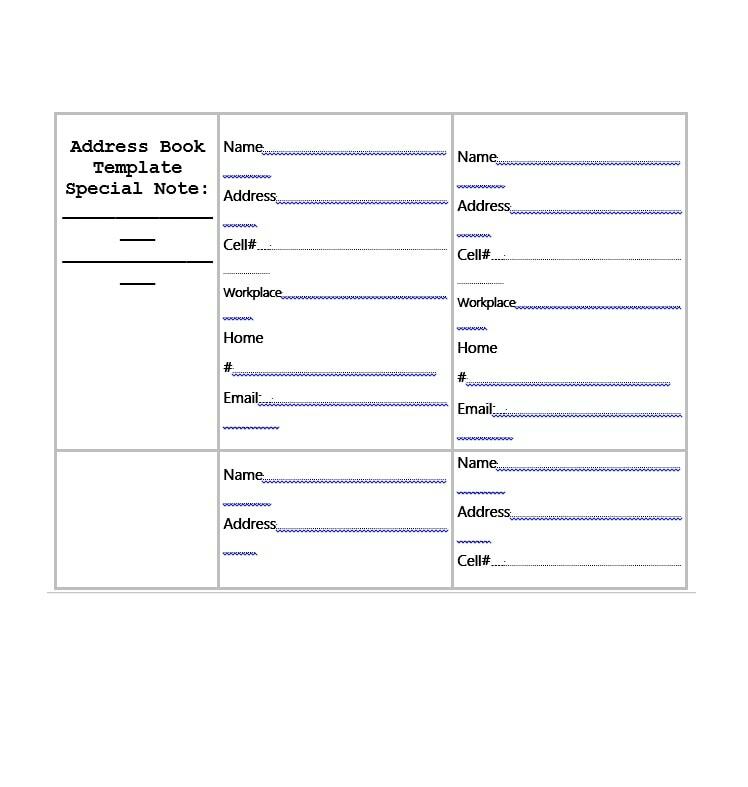 In the past, we only needed to record a person’s name, phone number, and home address. But now, there’s so much more to keep track of. People now have different phone numbers. We also have email addresses, social account details, office addresses, and more. When you are asking for a person’s contact information, be sure to ask for everything. This way, you can contact a person through different means. You may keep more than one address book. That’s okay. Just be sure you back-up everything regularly. 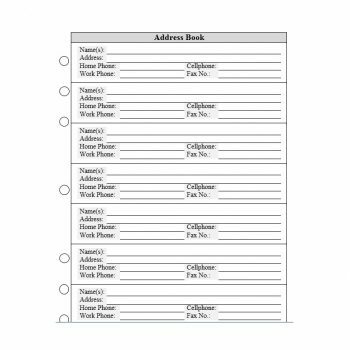 It’s much easier to create a single file to hold all your contacts. 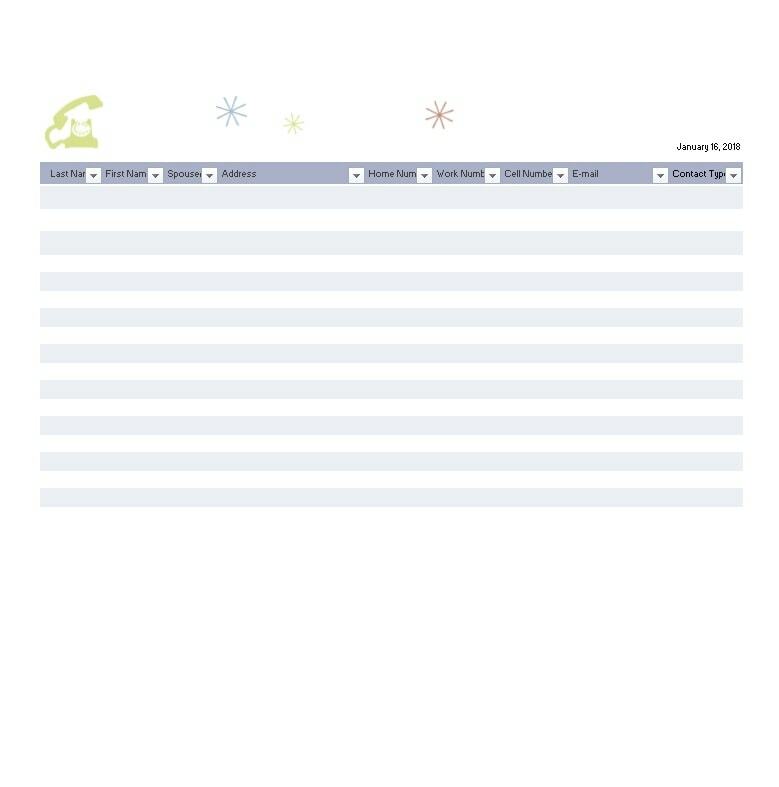 Just create different sheets and groups on the same file to categorize your contacts. 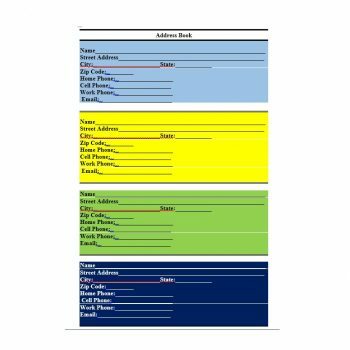 If this is too complicated, you can create separate files for different categories. 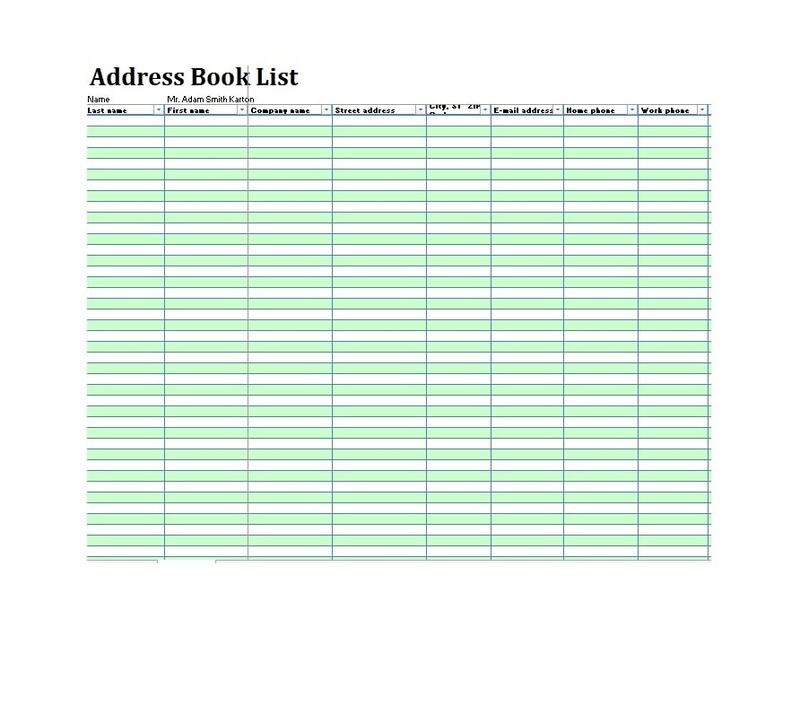 No matter how many address books you have, be sure to back them all up. 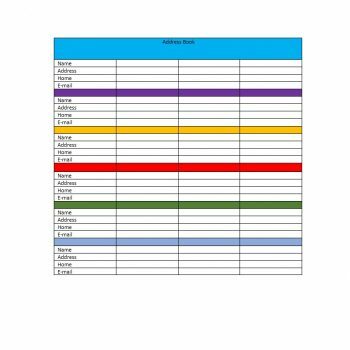 Print out a copy and store it in a safe place. Then save a file on your computer and save another copy on an external disk. But again, you need to sync all these files. 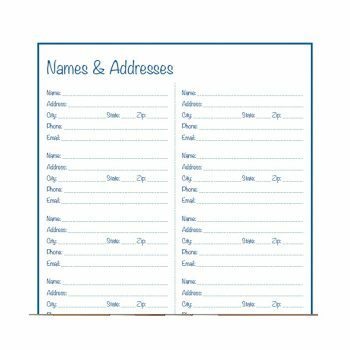 All your contact details should be the same across all your address and phone books. As much as you love everyone in your life, you may forget one special occasion or another. 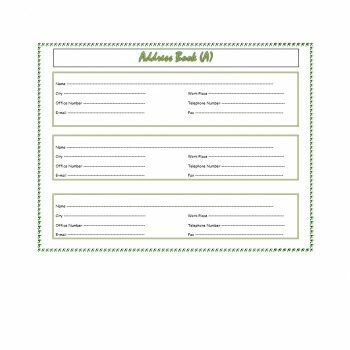 In order to avoid that, you can also include relevant dates on your address book. These include birthdays, anniversaries, and more. Then you can use your address book to help remind you of these dates. 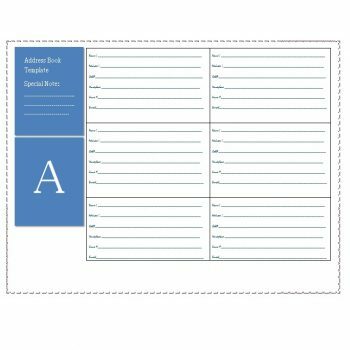 Address book templates are really very useful. They may seem old-fashioned, but they’re essential. That is if you want to keep your contact information safe. 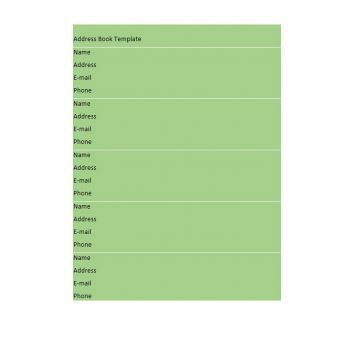 Now you know all about making these templates and using them efficiently. 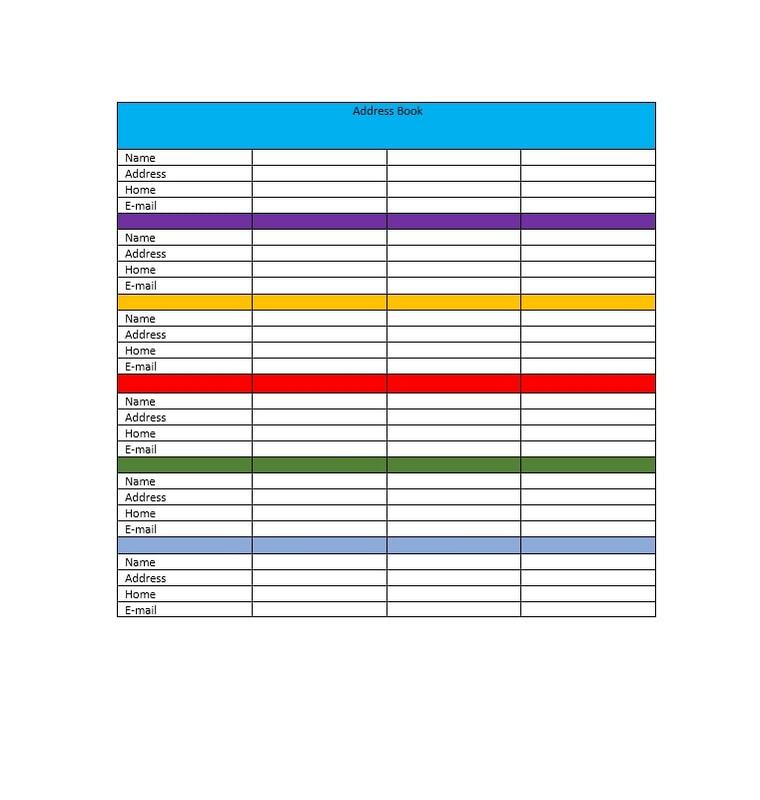 But if you don’t want to make your own template, you can download one from here. Then you can start backing up all your important information about your contacts. Do this so you won’t risk losing them.